An homage to the famous Long Bar at Raffles Hotel in Singapore, the Clipper Club Lounge is a favorite Happy Hour gathering spot of locals and hotel guests. After a long day of traveling, business meetings or sightseeing, be transported by the glamour and exotic atmosphere of this convivial retreat as our expert bartenders prep your cocktail of choice. 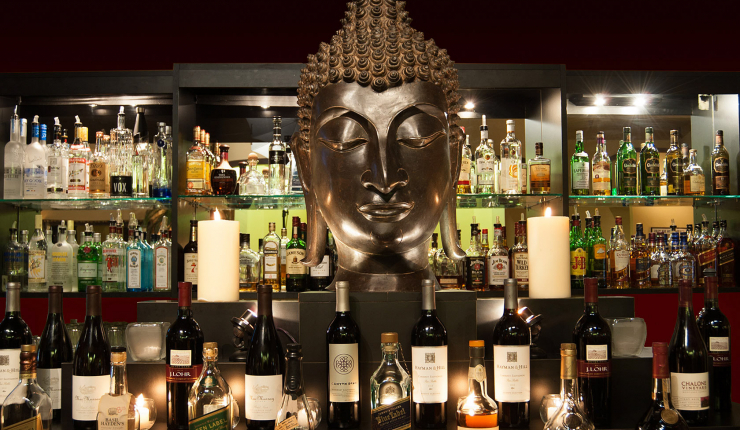 With its shimmering gold buddha bust, candles and backlit bar, the glamorous Clipper Club Lounge transports guests to the Far East. Grab a stool at the bar and have our bartenders stir up your favorite cocktail. And don't miss our menu of small and shared plate appetizers, including Filet Mignon Enchiladas, Crispy Calamari and classic Shrimp Cocktail.